With rose petal you want to avoid two things: (1) Moisture and (2) Freezing Temperatures. Around 1000 petals are packed in a bag, so be careful in handling them. To the One end of the bag, fold a paper towel in half, and slide it inside the bag between the bag and the rose petals. Flip the bag over and repeat the process. The paper towels will catch any condensation which may form. Keep the roses in a refrigetrator, but do not place in the area where there is more amount of freezing. If the rose petals look as if they are drying out, remove them from the refrigerator and store them in a cool spot out of sunlight and away from heat in the box they came in. This way you can enjoy the beauty and praise the almighty for his Astounding Creations. Express the one you love, you care, by giving them a gift of flowers. IF flowers are not prefered by your loved one, then present a gift with red roses, symbolising Love and Passion. So, Even if you are giving your loved one, other Valentine gifts, flowers add that bit extra to any Valentine's day gift. Flowers are the best and prefered gift around the world. Nothing says "I love you" better than a bunch of roses. Roses and Lilies are among the best choices of flowers as Valentine gift in Hong Kong. A perfect rose, when you are begining to lose your heart to someone is the yellow rose with a red tip. These roses are a symbol for falling in love. They are a perfect gift for your new love. If your sweetheart is always running through your head and you want her to know you're crazy about her send Coral or orange roses this year. They symbolise, enthusiasm, fascination and desire. Valentines Day is the world's most romantic day, a day full of promises of romance to come. One of the most widely known symbols of that romance is flowers, more specifically roses. But not all women like roses. Or maybe you are looking for something a little different for your valentine. Use these steps to learn about orchid flowers and how to buy them for your valentine this Valentines Day. Step:1.Research orchid growers. Not only is this a good idea to see the general price of domestically grown orchids, but you may find you have one near you where you can get orchids direct, saving you money and ensuring freshness. Step:2.Contact your local florist to see when they have orchids available. With domestic orchids being grown year round, the price should stay reasonably the same price all year. Some flowers are more expensive in the winter because they are out of season and have to be imported. Step3Shop online to find great deals with online flower distributors who often have a relationship with a specific orchid grower, making their prices lower and quality higher. Remember to figure in shipping or delivery prices when ordering. Step:4.Check with local nurseries. Though they are more likely to have more local flowers or seasonally grow theirs, you may be surprised and able to find beautiful orchids at a great price. Step:5.Look for vibrant colors and beautiful arrangements. Orchids come in a gorgeous variety of colors and if shopping for an arrangement, should be partnered with like flowers and array of colors throughout the bouquet. Of all the flowers used on a Valentine's Day most commonly used Valentine's Day flower is the undoubtedly the Red Rose, as this flower is traditionally recognized as the symbol of love and passion. Many do not know that a A single perfect red rose clubbed with Baby's Breath flower is considered to be a signature rose by the florists. It is most sought after flower of Valentine's Day. This is the ultimate occassion for the florist's and the lovers around the world. They have a roaring business in the coming days. The lovers expect their hopes and desires to be fruitful on this day. Rose being in the top position during this occassion, followed by tulips, daffodils and irises. Poeple also prefer a mixed flower bouquet on Valentine's Day, as it looks colourful and attractive. Most people try and avoid silk or artificial flowers as nothing matches the beauty and aroma of fresh flowers. Fresh flowers represent the genuine feelings of love towards the recipient as their fragrance and aroma lingers through the day and after. Flowers do not have a soul within. But Flowers manifest the splendor and the prowess of divine. They are the soul expressers of our emotions, enhancing the effect even by our absence. The flowers other than Rose, gifted on Valentine's day are tulips, daffodils and irises. Fresh flowers send and spread the messages of Love carrying through the miles and miles and bring smiles to the recipient. Mixed color bouquets are also popular on this day. Valentine's day is the exclusive occasion to openly express love to your beloved and what better way to do so, than by means of flowers!!!!!!!!!!!!! Valentine's day is nearing....Let your sweetheart remember you with this special moment lock inside her heart for all the years to come. It is very interesting to know that Chinese celebrate Valentine's day. The annual tribute to romantic love, is fast approaching. Florists, card shops, and chocolate vendors are all doing a raging business as lovers rush to purchase tokens of their affection. The Chinese also have a day devoted to love. Qi Qiao Jie, or the seventh eve, is often referred to as Chinese Valentine's Day. There is an annual gift giving in china. Though there are several charming customs associated with this romantic day for lovers. My friend was in love with a Japanese girl in the class. His fiancee, on Valentine's day gifted him chocolates. But as my friend was a Jewish guy, he did not know the exact meaning of those chocolates. He did not know how to reciprocate. A friend in need is a friend in deed. I helped him to know the facts of a Japanese Valentine's day. I had a japanese neighbour who was a florist. I had to explain Japanese culture and tradition followed on Valentine's day. Many do not know the different traditions followed in different countries where they live for their education as well as bread and butter. Japanese people show off their love by gifting their spouses or beloved by chocolates. Then after one month it is the turn of the men to give in return on march 14 th. On that day men who were gifted by their woman, present gifts of chocolate to all the ladies who remembered them on Valentines Day. The color of the chocolate is generally white because of the name of the day. My friend followed and his beloved was overwhelmed with joy, and thanked me by sending thanks gift basket. In recent past, The festival called Valentine's day falling on Feb 14 th, has been commercialized to a great extent. But in recent times in Italy, there has been some difference in enjoying on Valentine's day. Although, lovers in Italy celebrate Valentine's Day by expressing their love to sweethearts. Lovers usually go out for dinners at pizzeria or ristorante. The gifting tradition has been seen at its peak during this season. 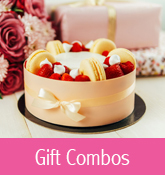 The exchange gifts like rose, perfume, chocolates and diamonds depending on the age and taste of person is a common feature. There is another popular Valentine's Day gift in Italy called as Baci Perugina - a small, chocolate-covered hazelnuts containing a small slip of paper with a romantic poetic quote in four languages. This would enhance the romantic mood the couple are placed in. After St. Valentine died on February 14, 269 AD, people started giving their loved ones or valentines, Rose flowers and other gifts to express their feelings romantic feelings towards them. In Italy it is called as St. Valenini's Day. Initially, Valentine's day was celebrated as a Spring Festival in Italy. Celebration for the day was held in the open air. Young people in Love would gather in tree arbors or ornamental gardens and enjoy listening to music and reading of poetry. Later they would stroll off with their Valentine into the gardens. This custom slowly ceased over. It is also believed in Britain and Italy that if an unmarried girl wakes up before sunrise and the first man she sees earlier that day, would be marrying her off with in that year. Feb, 14 th , Valentine's day is celebrated around the world keeping intact one's own traditions and customs. I found that not all countries in the world celebrate Feb 14 th Valentine's day. As people of some countries are more religious, conservatives, Orthodox, and they do not believe in such occassions. Ever since St. Valentine died on February 14, 269 AD, people have been gifting their loved ones Valentines and roses and other things to show their feelings towards them. Countries include Italy, UK, USA, Australia, New Zealand, Denmark, Mexico, France, Germany, Austria, Spain and Japan, Panama, Korea and Latin America. Vietnamese loves flowers. People gives flowers in every occasions. If you want to send flower to Vietnam. Here at Vietnam flower you can choose from our beautiful arrangements of flowers and send flowers to Vietnam as you were locally there. Our extensive vietnam florist network of flower shops guarantee a successfully international flower delivery. Send vietnam flower using our online services makes any Vietnam delivery easy yet professional with artistic floral designs. I found that the zz plant was a great replacement for roses on ValentineÃ¢? ?s Day. It lasts for years and symbolic of love because of its vibrant colors and gentle look. You gotta go to www.manhattanplant.com to get more info on it. In these days of Global Warming, there arises the need for making the Mother Earth less pollute by manufacturing the products naturally and quality bound. The Cutflower Industry utilises pesticides during the growth and storage of the flowers. This makes the people engaged, more prone to diseases, which also pollute the precious Earth. To lessen the effect of these pollutants in the form of pesticides, scientists are more inclined towards the Organic type of raising these flowers. Flowers grown in this type of cultivation are termed as Organic Flowers. It has also been believed that organic flowers are more fragrant and last longer than their conventional counterparts. Organic flowers are grown without the use of toxic and persistent chemicals. That's better for the surrounding environment and farm workers, as well as the end recipient who can thoroughly enjoy the wonderful scents of an organic bouquet. This Valentine's Day, consumers can show their Love towards Mother Earth along with a kiss to their loved one by purchasing organic flowers. Flowers express our emotions than words do. I found this right through an experience at Illinois. I had been to my Aunts house in Illinois. She has a beautiful garden with different kinds of flowers blooming during the spring. My aunt recieved this colorful array of blooms will convey your feelings without saying a word. Seven Pink Carnations and 4 White Mini Carnations are joined with Chrysanthemums, Alstroemeria and Waxflower. The freshness of the flowers stole my heart and I became a regular client of that floral company. Let's know the facts for celebrating Valentine's day in the below given information. The history of Valentine's Day and its patron saint is shrouded in mystery. But we do know that February has long been a month of romance. St. Valentine's Day, as we know it today, contains vestiges of both Christian and ancient Roman tradition. Many plant-lovers keep a sharp eye out for the introduction into the market of plants with black flowers (or as close to a true "black" as possible) or dark foliage. Why? Well, it's partly the novelty of growing such plants. But also, some nice contrasts can be created by juxtaposing black flowers and plants with dark foliage with brightly colored specimens: a spring planting bed featuring tulip plants with red, yellow and black flowers is one possibility that comes to mind. View my pictures of black flowers to see some examples. When does the Season of Love is at its peak?... Obviously its on February 14 th of Valentine's Day. Gifting flowers has become a tradition on Valentine's day. Expressing One's Love to his Valentine is the common course. Flowers are the messengers of expressing Love to beloved... There can be many other gifts, but Flowers.. Flowers ... Flowers would be the real, valuable, expressive gifts. There can be no celebration of Valentine's Day without Flowers. It's not that I am throwing an idea of making you believe that flowers are the ultimate ones for valentine's day, but here is the theory which makes me believe that flowers are the ultimate ones for this Valentine's season. 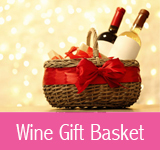 Gifting a person with some Luxurious items - These items like, perfumes, soaps, liquor, Wines, some gift coupon, clothes, can be used and finish off after a few months. There ends the rememberence. Gifting a person with Flowers - Whereas when a person is gifted with flowers of his liking, Roses, Tulips, Chrysanthemums, Carnations, Gerberas, etc., there is a chance for the flowers to be preserved and saved for years and years to come to be called as Floral Keepsakes. They can be remembered for a lifetime. 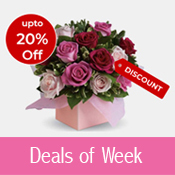 Flowers come in huge varieties and colors which help in choosing the favourite color of the recipient. Gifting a person with Gardening Tools - Another item like gifting a person with gardening tools also helps the person grow aesthetically as well as lessening the global warming by maintaining his own beautiful garden. I could send a fabulous flower gift to my Valentine through a flower site called pickupflowerscom. Their Customer Service is great. I sent a bouquet of Stargazer and Roses placed in a flawless white vase. They reached in time and my fiancee was overwhelmed by the flower gift. I saw this flower while on a hike and am curious as to the name of it. Can you help? Give the gifts of flowers that never die. Wouldn't you love to give a gift of flowers that will last forever? Flowers that do not need to be watered or thrown away after only a few days or weeks? I take real flowers, press them with TLC and then make them into fine works of jewelry. My flower jewelry is sold in famous garden gift shops and florists. Now you can buy them too! Last modified on Jan 30, 2009 | TFE v1.2 | © 2005-2017 Gifting Inc.